Guest Services team members have the warm hearts and big smiles of Harvest Church. Without them, there would be no Krispy Kremes, no one telling you, “good morning” and no coffee! If you'd like to get plugged in with this team fill out the form below. Our Campus Safety team has the special task of ensuring everyone's safety while on the property. From assisting with parking to providing basic medical care when needed, the campus safety team has your back. At Harvest we have one of the best kids environments around. From the time kids are 6 weeks old until they leave the 5th grade, they will learn about Jesus in a way that is relevant, biblical, and engaging. To learn more about serving with our Kidstown Ministry, fill out the form at the bottom of the page. 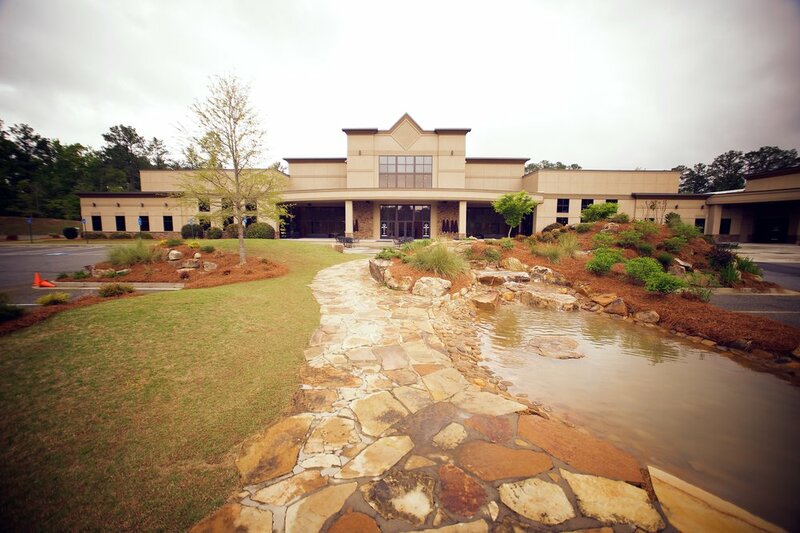 Our Facilities and Landscaping teams work hard to ensure that Harvest Church stays a beautiful inviting place where people will want to come take pictures, walk their dog, play disc golf or enjoy our playground. If you’re skilled or just enjoy landscaping, carpentry, or helping to maintain a building let us know by filling out the form at the bottom of the page. We do student ministry differently at Harvest and we love it. Each week, hundreds of middle and high school students will gather together across middle Georgia to study the Bible and just do life together. To learn more about serving with our students, fill out the form at the bottom of the page. The production team is the foundation of the stage. Everything you see happening is made possible by them! Whether that is lights flashing, lyrics on a screen, or a camera shot so you can see! That is our production volunteers making our worship environment inviting and lively! If you are interested in getting connected with Harvest Music and Harvest Production please fill out the form at the bottom of the page. Our Care team is one of our behind-the-scenes ministries that often goes unnoticed unless you need them. They are the men and women who take meals to the sick, visit members in the hospital, pray for Harvest and do so much more. Ever wonder how the program gets created or who is calling from Harvest during the week? Our Office Administration volunteer team makes that happen. They work behind the scenes to ensure that calls get made, programs folded, Kidstown resources get created and so much more. When would you be able to serve? Still not sure, ask us a question below.